Channel Port Milena is severely polluted by the sewage discharge and waiting to be cleaned as demanded by the local civil society group. Channel Port Milena, built more than 130 years ago and once a natural lagoon and the largest fish hatchery in the southern Adriatic Sea, today is a black ecological spot and drain for sewage water. The salt processing plant, built in 1934, raised the embankment along the river Bojana that has stopped the river water inflow and therefore purification of the port and channel. The surrounding villages have their wastewaters discharged to the channel and the stream Bratica. In some parts the channel is almost completely dried out due to the accumulated waste and debris, as well as the illegal construction on its banks. The smell and dead fish in the channel started to repel the tourists. The NGO "Zeleni Korak" demanded the municipal and federal authorities to find a solution to the ecological crisis in Port Milena. The Feasibility study of a solution for the sewage system was financed by The Ministry of Sustainable Development and Tourism and the final cost of construction was estimated at 6.5 million USD. In 2000, there was a project proposal for the construction of a channel merging the river Bojana with Port Milena that would help purify the water by allowing a flow between 2.5 and 15 m3 of water per second. This project was never realized as the government never found the available land. Nowadays, the spatial and urban plan for the Municipality of Ulcinj and other relevant spatial planning documents are expected to provide plans for the construction of a sewerage network and wastewater treatment plant. At the beginning of 2013 the Municipality did a water quality assessment and classification of the sludge and waste as a first step of the channel cleaning project. The Government of Slovenia, with United Nations Industrial Development Organization (UNIDO) and support from the Ministry of Sustainable Development and Tourism of Montenegro and Ulcinj Municipality, approved funding for the implementation of the project “Preparation of environmental remediation in the area of Port Milena in Ulcinj by excavation and treatment of contaminated sludge and sediments". However, instead of giving priority to remediation projects, the new and expensive bridge on Port Milena channel was constructed. The NGO "Zeleni Korak" proposed to build a cheaper functional bridge instead of the expensive one and to use the money saved for cleaning and restoring Port Milena. The Ulcinj Municipality in cooperation with the Ministry of Sustainable Development and Tourism and with the support of UNIDO has planned a project cleaning the channel Port Milena should have started by the end of March 2014 and finish in 2016. This project has a total cost of 350,000 USD (285,000 provided by the Government of Slovenia and 65,000 by the Ulcinj Municipality and the Ministry of Sustainable Development and Tourism). According to the report by the Ministry of Sustainable Development and Tourism from 2015, the project of sanitation of Port Milena is in implementation. 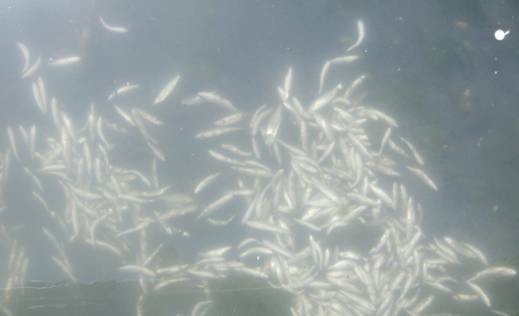 However, cases of severe water pollution in Port Milena were reported in 2015, caused by sewage discharge in Bratica and resulting in fish kills. Municipal authorities consider that there is no an adequate project for revitalization of the channel. Project Details The channel was 4 km long, 80 to 120 m wide and had a depth of 4 to 8 m. Wastewaters are coming from settlements gravitating to the channel and the stream Bratica: Donja Bratica, Kodra, Totoši and Bijela Gora. At the bottom of the channel and its banks there are more than 30,000 tonnes of debris and hazardous waste deposited, with the presence of heavy metals, toxic chemicals and waste motor oil. Around 20,000 m3 of concrete and iron was used for the new bridge. 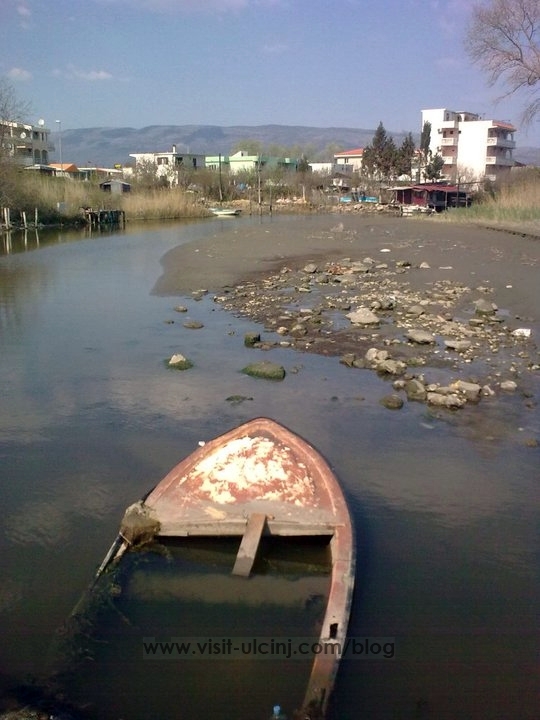 Development of Alternatives NGO "Zeleni Korak" demanded the authorities to take urgent measures and halt the devastation of the Port Milena channel. Why? Explain briefly. According to Ministry of Sustainable Development and Tourism, the two-year project of restoration and revitalization launched by Ulcinj Municipality in March 2014 is currently ongoing. However, in 2015 there was cases of water pollution in Port Milena cause by sewage discharge. In addition, municipal authorities consider that there is no an adequate project for revitalization of the channel. IZVJEŠTAJ O REALIZACIJI MJERA IZ AKCIONOG PLANA ZA SMANJENJE NEGATIVNOG UTICAJA NA ŽIVOTNU SREDINU ZA PERIOD JANUAR-JUN 2015.